This evening, at 7:30pm GMT, Sothebys auction house are running an 'English Literature, History, Children's Books & Illustrations' auction to raise money for a charity, and amongst the lots is a very interesting one for Pink Floyd fans. It is a "First Editions: Re-Covered" copy of Gerald Scarfe's excellent The Making of Pink Floyd The Wall. The book has a dust jacket which has had two original illustrations by Gerald added - 'The Teacher' and 'The Wife', ink and watercolour, signed and dated by the artist ("Gerald Scarfe 7 Oct 2014") and each measuring 280mm by 230mm. Those of you interested in this unique item, a true "one-off", should note that the auction house's estimate for the book is £3,000 - £5,000...you can bid in person, online or by phone. The auction in total consists of 33 lots which will be auctioned to benefit House of Illustration. As well as putting on 10 exhibitions a year the charity works with schools across London on projects with young people that inspire creativity and enable them to communicate visually, overcoming barriers such as language, literacy levels and special educational needs. It is the only UK gallery commissioning new illustration work for public display and runs the only residency for illustrators and graphic artists, supporting artists at every stage of their career. More details through this link. 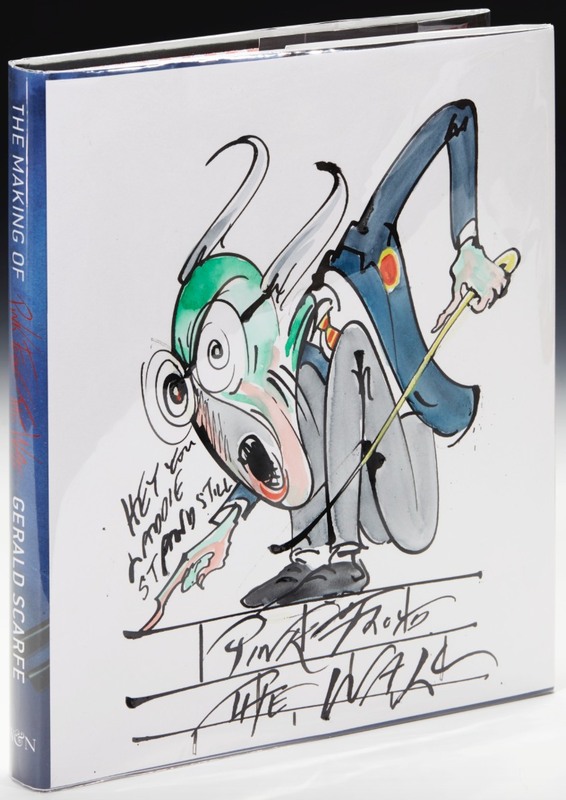 UPDATE: On the night, the Gerald Scarfe-customised book sold for a slightly eye-watering £11,875, which is fantastic for the charity.